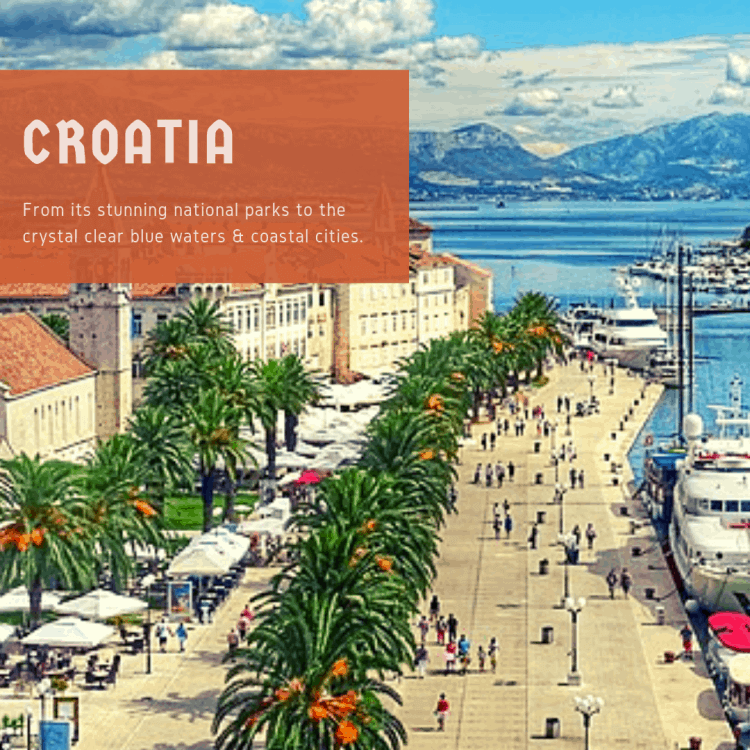 Croatia is a beautiful country and is becoming a favorite among travelers. With close proximity to Germany, we decided it would be perfect for an early October visit. 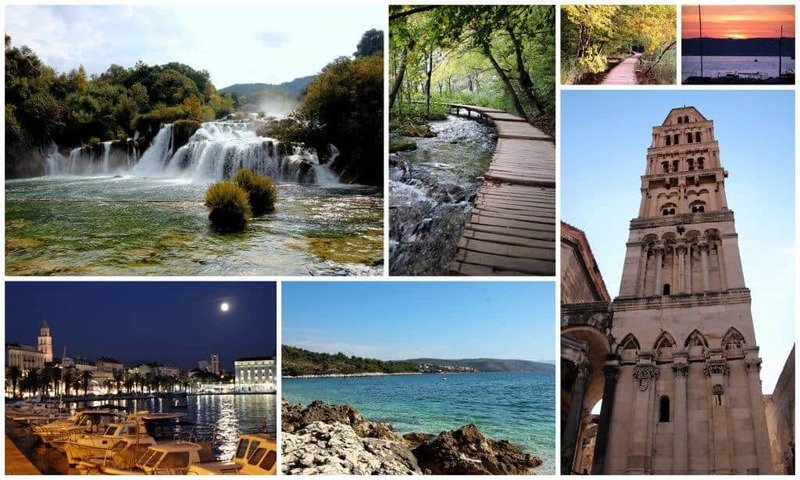 Enjoy our guide to Croatia Family Holidays with visits to Plitvice National Park, Split, Krka National Park and an all-inclusive stay at Hotel Amarin near Rovinj. 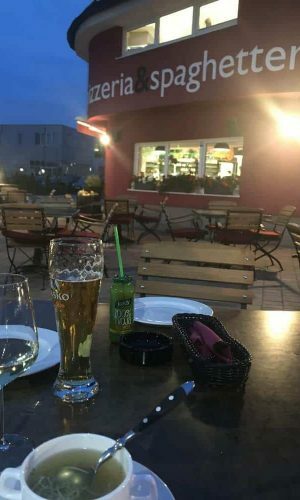 I’ll share where to go in Croatia and what to do along the way. How did we plan the trip? I’m a huge fan of Rick Steves for European Travel, so I frequently suggest his books. He covers Croatia in his Croatia/Slovenia guidebook. Check it out below. If you are new to travel planning, i’ve got some great tips on ‘How to Plan a Trip“, might be worth a read. The weather was Fall-like. 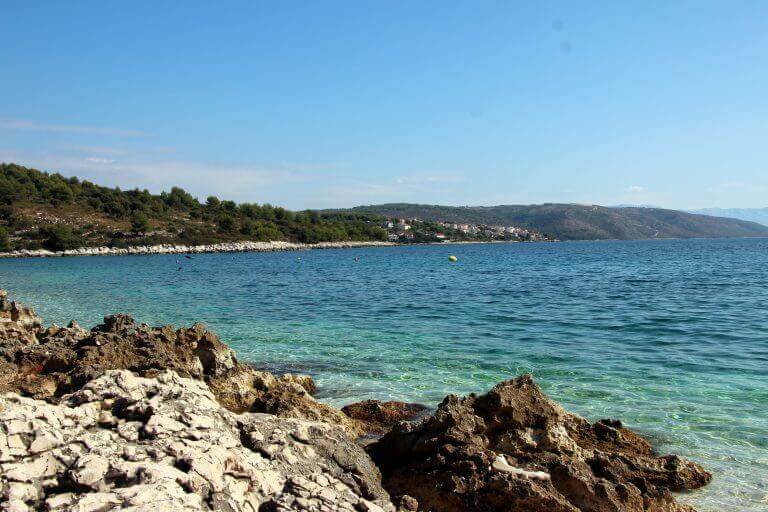 We packed a mix of summer beach clothing with jackets on cooler days for our days in Split and at the resort. Then some long pants for at night and for our days in Plitvice (northern Croatia). You can find my packing tips for how we travel with kids. 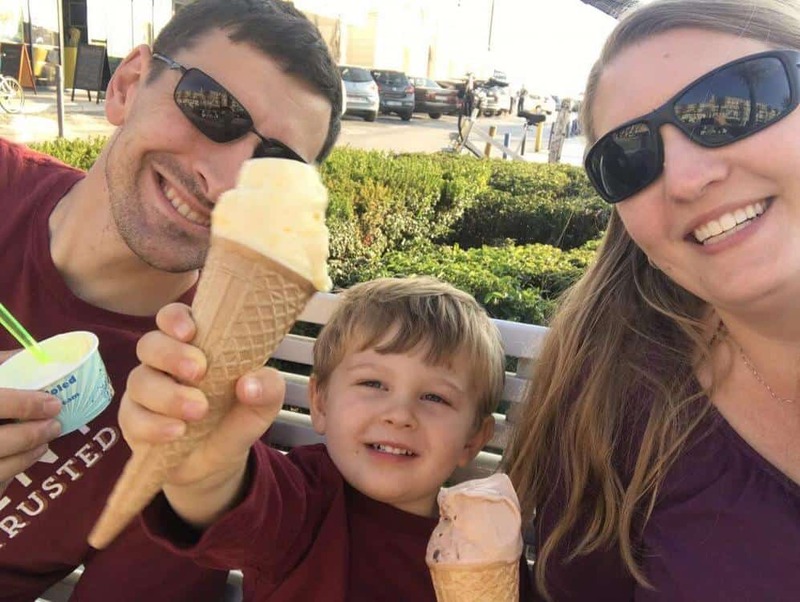 It has lots of great tips on how we minimize out suitcases while still managing to bring the important things for kids (like books, music and more)! I also have great tips on travel gear for kids. Everything from the best strollers to what type of gear you might need for travel. Be sure to check it out. We made the decision, after looking at flight prices, to drive from Stuttgart, Germany to Croatia. We did stop near Lake Bled, Slovenia. 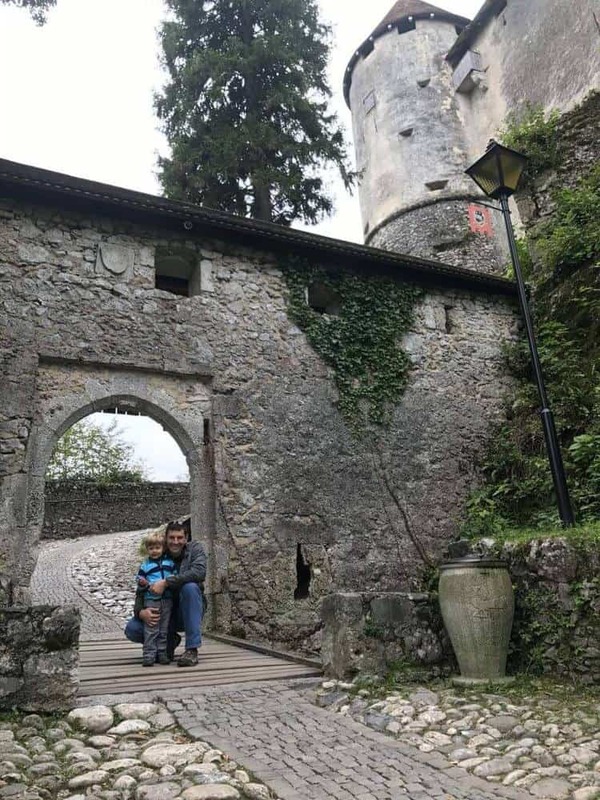 We had already spent a weeks vacation in Slovenia (check out our Top 10 Things to do in Slovenia), so we visited the Lake Bled Castle and then continued on after a good nights sleep. If you wanted to take a similar path but didn’t want to drive (or you don’t live in Europe) you could fly into Ljubljana, Slovenia or into Zagreb, Croatia. Both are good starting points to head into Plitvice National Park. A rental car is a must-have in Croatia. The roads are easy to drive and we didn’t find the cities difficult to drive into either. We like renting from Europcar. We’ve always had good luck with their rentals and the price is competitive. We prefer to travel during off-peak times. For us, that’s Spring and Fall. We choose to travel in early October and it was a bit on the chilly side. We didn’t swim in the ocean, but we did see others swimming. The pool was also a bit too cool at Hotel Amarin. Something to consider if you like warmer weather, but the price was right! Even though Croatia is part of the European Union, they do not use the Euro. 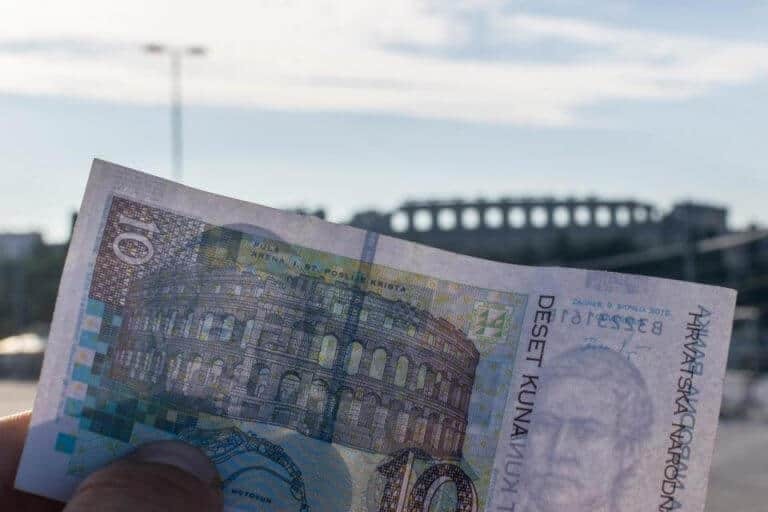 Instead, the Croatian currency is the Kuna. Bring an ATM card to pull cash at any local ATM for the best exchange rates. We left Stuttgart in the early morning and headed towards Munich to visit the German Museum since it was about 2.5 hours into the drive and I knew we would be ready for a break. The museum was ok, we didn’t end up staying very long, we grabbed lunch and headed back on the road. Make sure you grab a vignette when you get close to Slovenia. They are required. Need more information about the vignette? Click here. A little less than 4 hours from the museum in Munich, we arrived near Lake Bled, Slovenia. We booked a room at Pension Török. 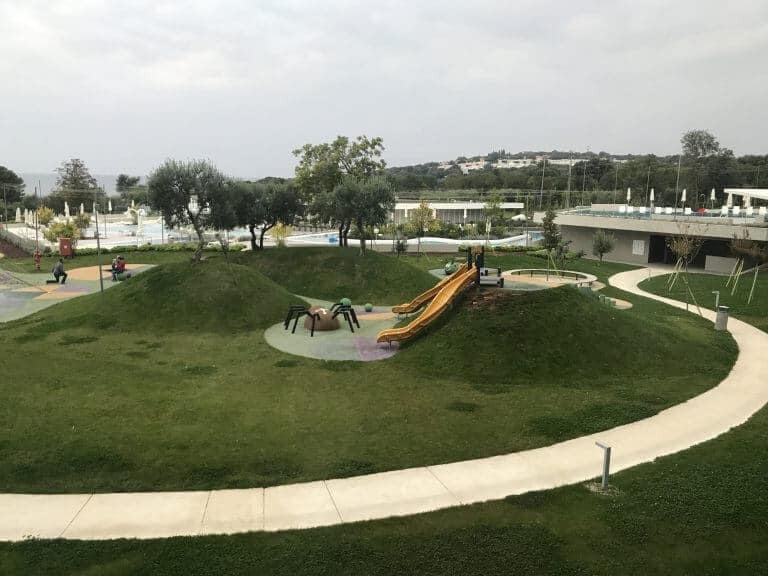 It was a nice hotel with ample beds for the 3 of us, parking on site, a small playground in the yard and close proximity off the highway. We also found a wonderful Italian restaurant with a huge playset and trampoline. Perfect after a long drive and it was nice to sit outside watching our son play. 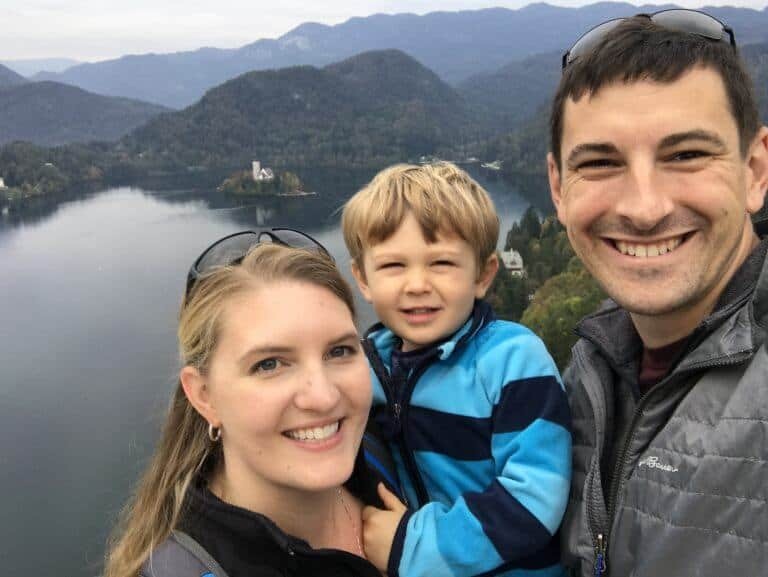 When we visited Lake Bled the previous year, we didn’t have a chance to visit the Lake Bled castle. We are a family of early risers, so we decided it would make a great stopping point before we headed south to Plitvice National Park. Lake Bled Castle is one of the oldest in Slovenia and dates back to 1011. We arrived by car and paid a small fee to park at the top of the castle. You can walk from the bottom of Lake Bled, but that would be quite the climb. Once you park, head under the stone arch towards the ticket office. See the price list for entrance fees to the castle. 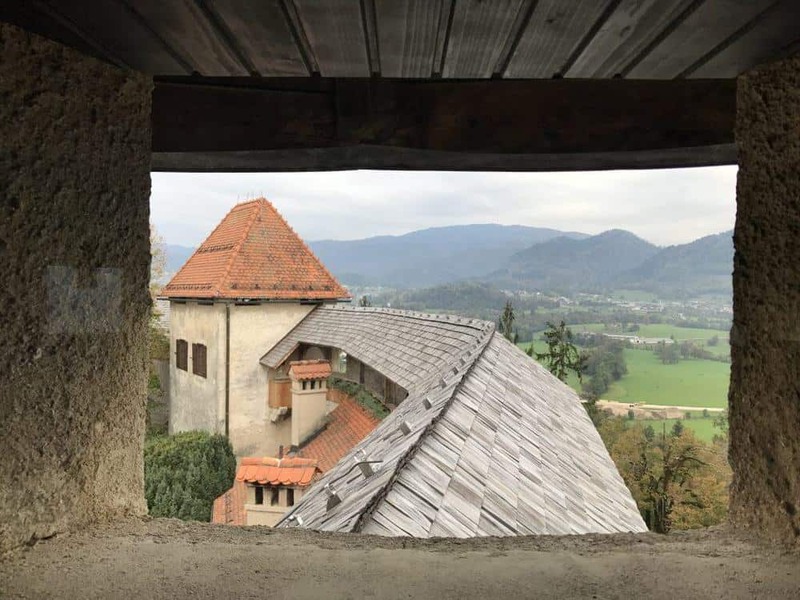 Once inside the castle, you’ll enjoy wonderful views over Lake Bled. There is plenty to see and do inside the castle. We peeked into the castle museum, chapel, castle walls, grabbed a snack in the cafe and checked out the views. 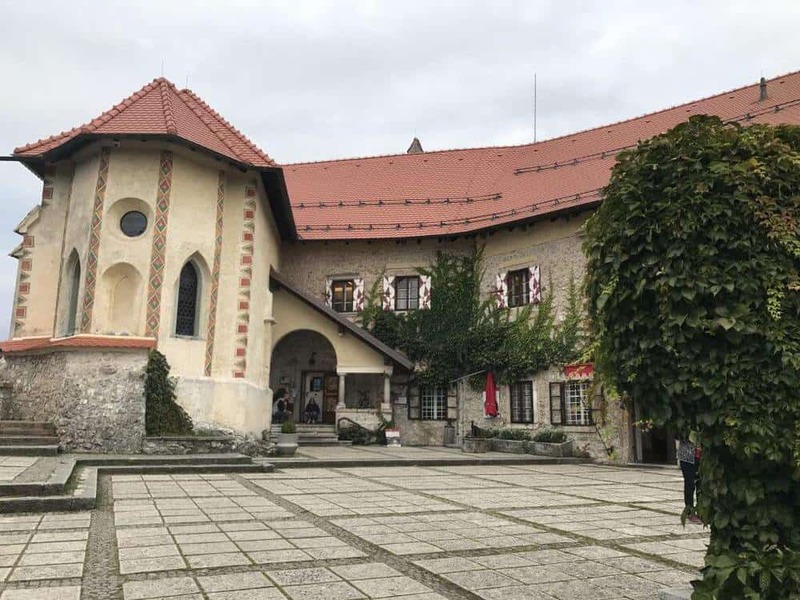 There is also a castle printing works where you can see traditional printing techniques and have a gift made. In addition, you can make a bottle of wine in the caste wine cellar for a fee. After a nice visit to the castle, it was time to hit the road. It was another 3.5-hour drive to our next B&B, House Tina. We really enjoyed our stay at House Tina. 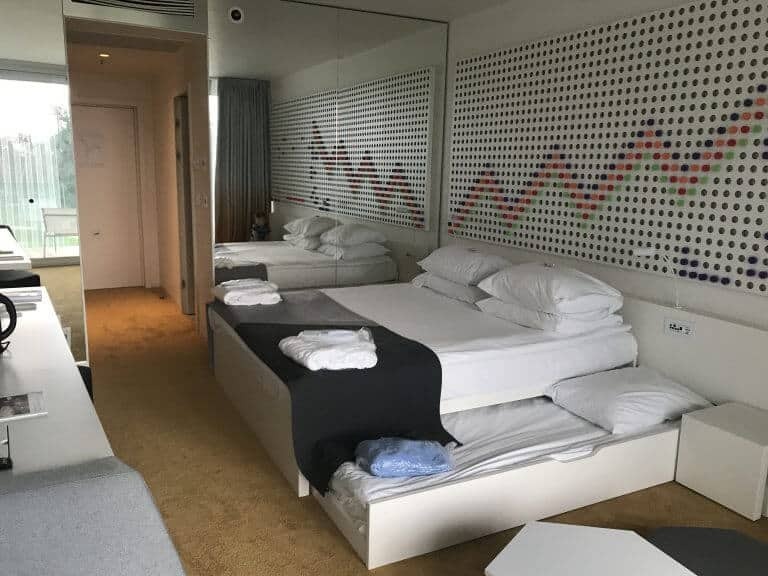 We had a room with four single beds. They also offer dinner for 15 euro per night (with previous reservation) and breakfast is an additional 7 euro per person. 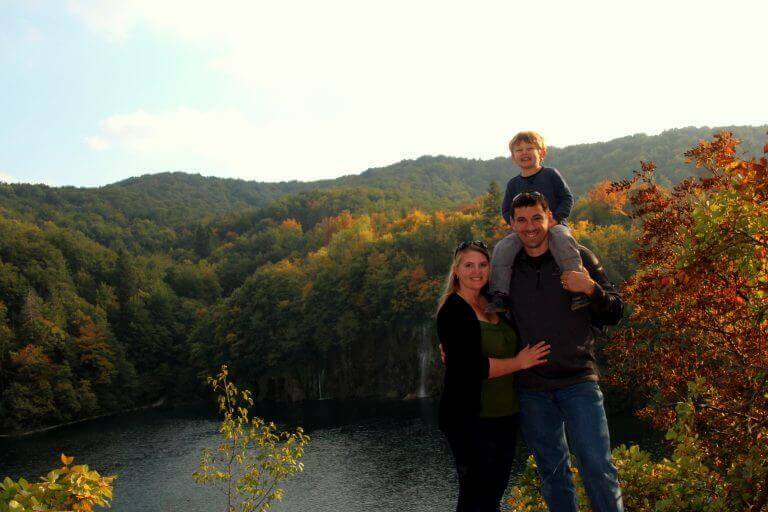 They are able to sell Plitvice National Park tickets, which is a huge benefit to access the park quickly. The hosts are full of knowledge if you need any help planning your days in the park. House Tina is located in the area where the Serbo-Croatian War started in 1991. 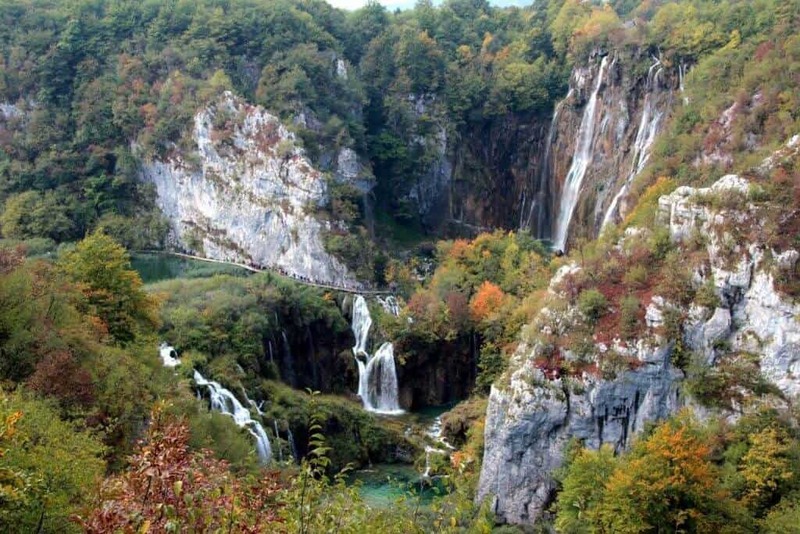 The first shorts were fired within the Plitvice Lakes National Park. You may see quite a few bombed out buildings in the area, which is right on the border with Bosnia and Herzegovina. The owners of House Tina fled to Germany during the war, where they remained for 5 years with refugee status. They returned and built House Tina after the war. We arrived early in order to drop our bags, buy tickets and head into the park a few hours before closing. It is a short 15-minute drive to the parking areas near Plitvice. We decided to explore the Northern 1/2 of the park. I had a difficult time planning our time in Plitvice. It was hard to find good information about the trails, the length and time we should allot. Hopefully, I can help you with all the details! 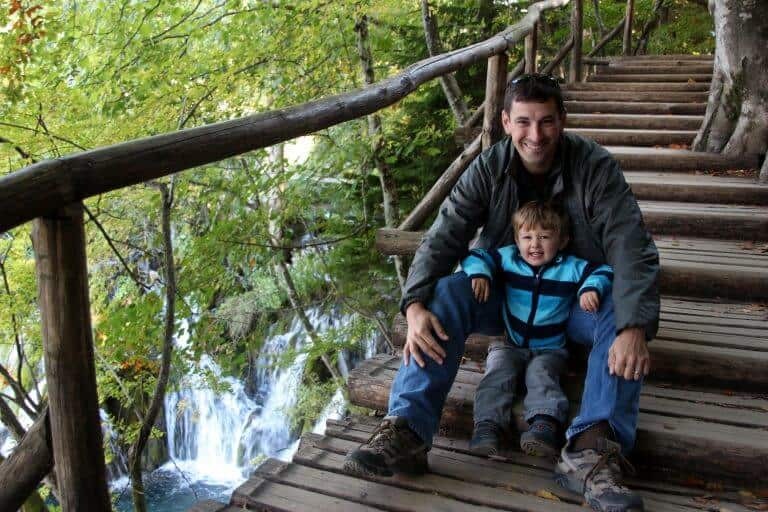 I’ll give a quick preview below, but check out my “Full Guide to Plitvice National Park with Kids” here. Entrance 1 and Entrance 2, both located on the same main road along the east side of the park. Entrance 1 is located on the lower lakes section of the park and is closest to the trail down to the Great Fall, the largest waterfall in the park. Entrance 2 is situated in the upper lakes. We chose to do the upper lakes on the first day. You have a few choices depending on how much time you have. Once you park at Entrance 2, you can take the bus up to the top and walk back down to the parking lot. More time? Take the ferry across Lake Kozjak. (Downhill path) *OR* Enter at Entrance 2, walk uphill to the bus stop and take the bus down or do the loop all the way back down the opposite side. All buses and ferries are included in the price of a ticket to Plitvice Lakes. Park at Entrance 2, walk down to the ferry. It is a bit of a hike across the bridge, down the paths towards the ferry parking. There are plenty of people to help you find the right ferry. We took the ferry directly across the lake and then began wandering the paths towards the upper lakes. Make sure you have a map with you or use our recommended maps.me app. Check out our review of travel apps with no wifi needed here. We did not bring a toddler carrier, in hindsight, we should have grabbed one. Our son was active and he honestly walked the majority of the time. Between my husband and I, we were able to carry him the rest of the way. Be wary, there are no guardrails and there is water everywhere. Keep a good eye on children. My husband and I took turns enjoying the views while the other adult was on “kid duty”. It took us 3-4 hours to make the trek up to the bus stop at the top of the trail. You’ll see signs heading towards the bus. Make sure you check timetables, otherwise you’ll have to hike all the way back to the parking area. Bring snacks, water, and appropriate hiking gear. There aren’t any services out on the trails. There are a few benches scattered along the way, but you won’t find any restaurants or bathrooms around the upper lakes. After a wonderful late afternoon/evening hiking around the lakes, we headed back to our B&B for a good nights sleep! We enjoyed a nice breakfast at House Tina. At the time of our visit, breakfast was an additional 7 euros per person, well worth the extra cost. We also requested packed sandwiches for our next day in the park. The packed lunches were ok. If we were to do it again, we would have grabbed lunch at a restaurant in the lower lakes that we found. But having snacks and drinks packed is always a good idea. This time we parked at Entrance 1. Again, it is a bit of a walk. You’ll head across the road, down the hill towards the entrance. 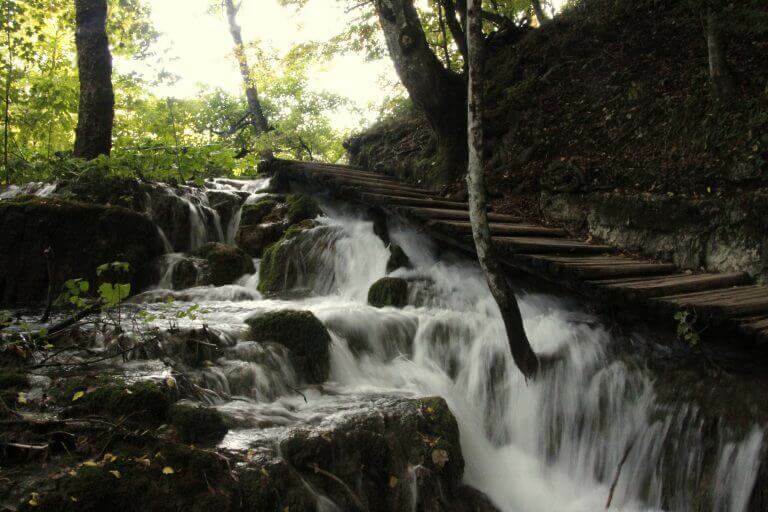 Then you’ll continue to descend down into the valley and head towards Veliki slap, the largest waterfall in Plitvice. The pathways will become packed as the morning progresses. The earlier start you get, the better. This is the view at the end of our trip. When we arrived, we headed straight down past all the tourist taking photos, we knew we would return and have time to take our photos on the way out. The lower lakes are pretty and they are easily accessible, but we thought the upper lakes were must more stunning! Perhaps it was the lack of crowds in the late afternoon/evening, but honestly, the views were just stunning. We did enjoy our visit around the lower lakes. We completed a loop around the lower portion of the lakes, stopping at a nice restaurant/cafe to enjoy a snack and warm drink. After another 3-4 hours in the park, it was time to head towards our next destination, Split, Croatia. It is about a 2.5 hour drive. We had a nice Airbnb right on the Riva in Split. We are frequent Airbnb and vrbo fans. We like having a full-service apartment and multiple bedrooms so everyone gets a great nights sleep. 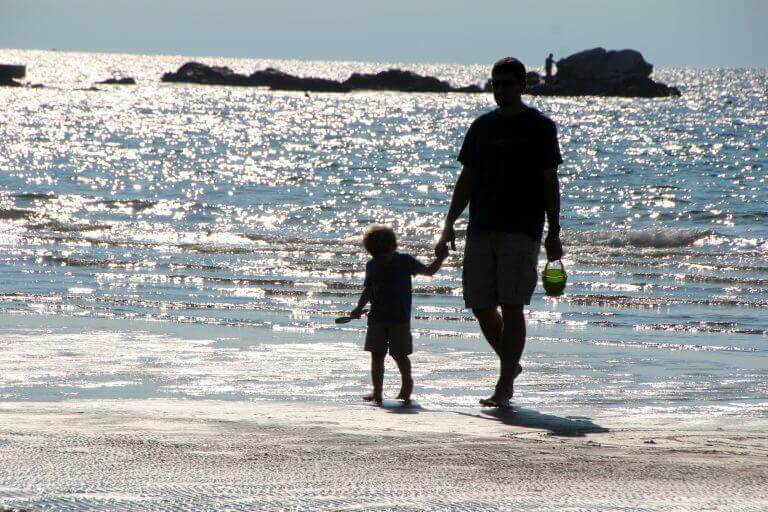 Check out my recommendations for “picking a place to stay with kids“. The location was ideal for our exploration of Split. The apartment was well stocked and Dino was a wonderful host. Check out the Airbnb here. If this is your first time booking an Airbnb, check out my referral code. You’ll get a discount and so will I, win-win! Dino was helpful with parking options. We chose to park for free in the neighborhoods about 10-15 minutes walk to the West. Since we weren’t using our car often, it wasn’t bad having the car at a distance. The one time we decided to go out of town, my husband grabbed the car and pulled up to the roundabout to pick us up. After a busy traveling day, we walked along the Riva, grabbed some ice cream and watched the boats in the marina. We woke up, enjoyed a nice homemade breakfast from the supplies we gathered at the supermarkets the night before. Then we headed to Bačvice beach. It is a city beach located an 18-minute walk from the Airbnb. The beach has chairs and umbrellas for rent. Since it was the low season, we were able to use them without a fee. The beach also features a cafe and a playground area. Bring some sand toys. 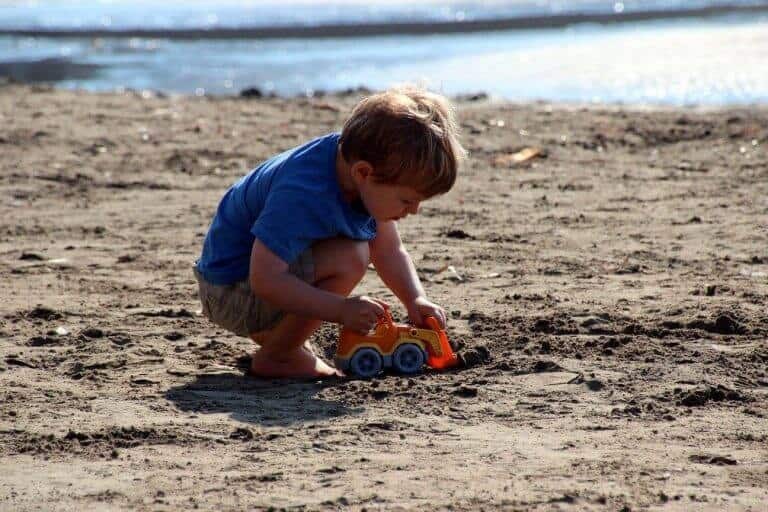 Some reviews said the beach sand was a bit dirty with litter due to it being a popular nightly destination. We did notice some litter, but it wasn’t enough to deter our visit. Be sure to pack some sand toys if your luggage allows. We love this packable sand bucket from Amazon. It folds flat and is great for tossing in your backpack with a shovel. 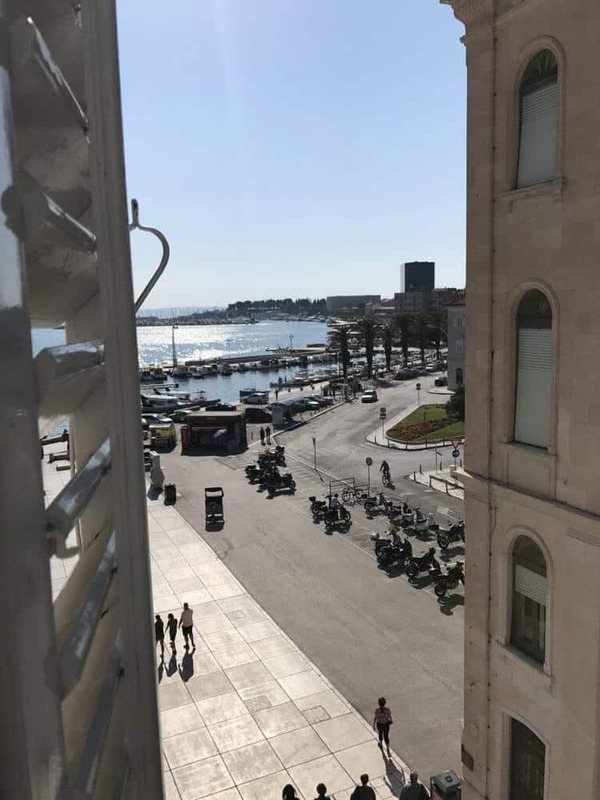 After a nice morning spent at the beach, we headed off to enjoy a walking tour of Split to gain a bit of knowledge about its history and visit the major attractions of Split with a guide. We booked through “Split Walking Tours“. 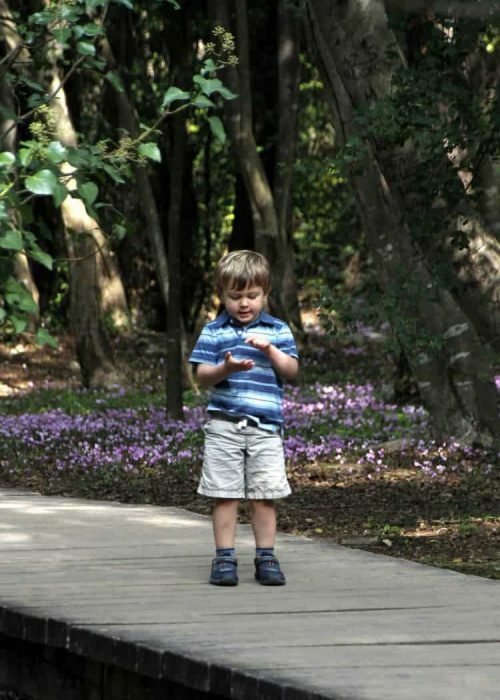 They offer many tours throughout the day, so pick the time that works best for your family. Our son takes a nap around 1 pm and the cobblestones always do the trick to lull him into dreamland. So after a brisk walk, he was sound asleep while my husband and I enjoyed the tour. We enjoyed the tour. We are the type of travelers that really like to immerse ourselves in the culture and history of the place we are visiting. The tour ended just as our son woke from his afternoon nap. We elected to head out of the city down to a beach area with inflatable bounce houses. Check out the location here. It was a great spot to let loose, grab a drink and take a break from sightseeing. 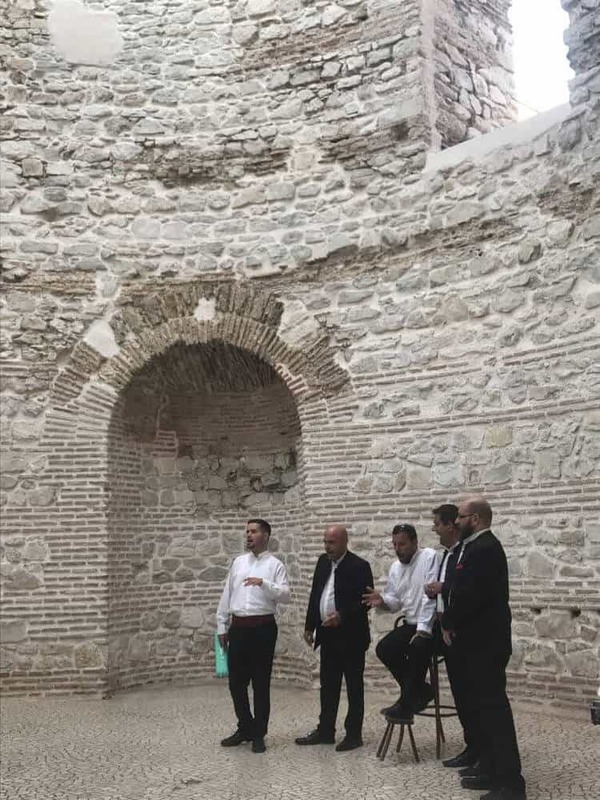 Today we had planned to take the Bol & Golden Horn Sailing Tour, but the company e-mailed and said the weather wasn’t great for this tour and they suggested a change. I thought it was best to book a tour ahead of time, but in the end, it was easy to walk down to the water and see the many booths set up for various boat tours. We felt mislead by the company and would not recommend them. In the end, we boarded a boat, loaded our folded stroller and enjoyed the ride over to the Blue Lagoon. We enjoyed a lunch that was included in the tour before heading over to a fun swim/snorkel spot. We just watched others swim since the water was too cold and we have our then 2-year-old son with us. 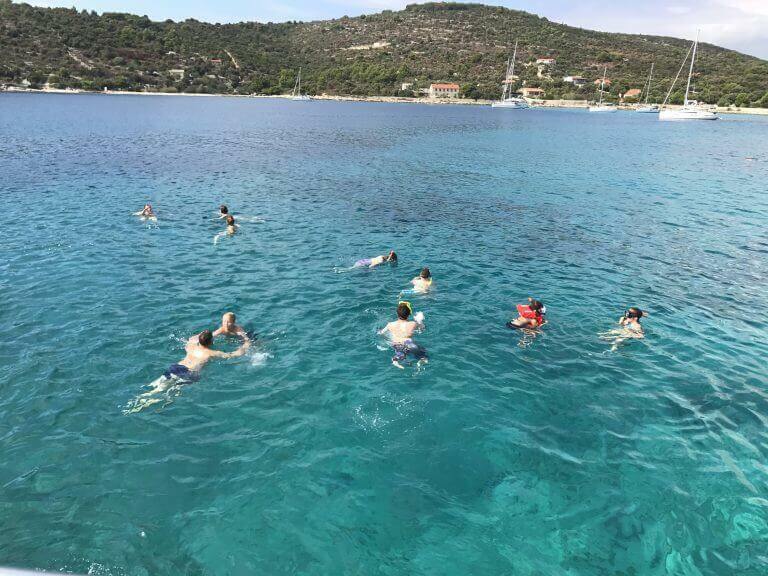 Once everyone was back on the boat, we headed to the island of Maslinica. 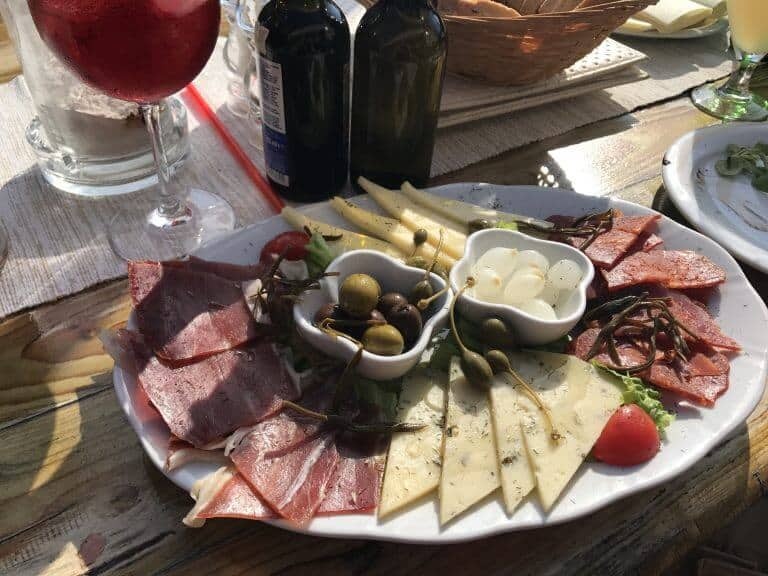 Our son had fallen asleep, so my husband and I enjoyed a nice lunch with wine! We did enjoy the tour and it was nice to get out on the water to experience some of the other islands. The boat was large enough and featured a bathroom, which worked well for traveling with kids. After a full day on the boat, we headed back to our Airbnb for a quick shower before heading out to dinner. It was time to depart Split. We had a lovely visit and would highly recommend it as a city to visit. There are so many beautiful islands to explore just off the coast, which makes Split a great “jumping off” city to stay in. 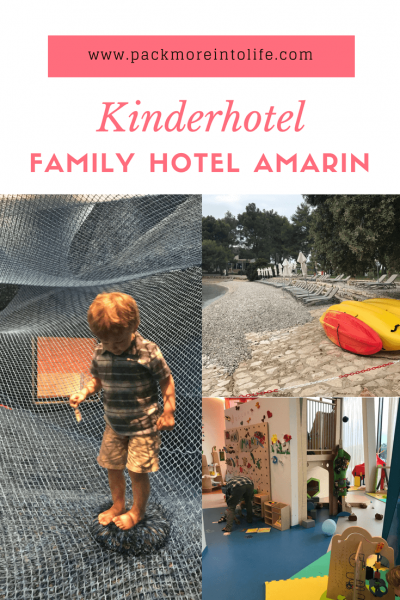 Since Krka is only an hour drive from Split, we knew it would make a great stopping point on the way to our next destination, Family Hotel Amarin. Want to skip to the in-depth review of the hotel, click here. Krka National Park is another natural beauty in the country of Croatia. It’s known for a series of 7 waterfalls and its beautiful trails. There is a large parking area as you approach Krka. Once you buy your tickets at the ticket kiosk, you can either walk downhill to the park or take the free shuttle bus. We chose to walk since we knew we would be in the car for quite a while. Once you arrive, there are many little shops, cafes, restaurants, and bathrooms before you start the trail. If you need a bathroom stop, follow the signs and head to the back of the viewing areas. It’s tucked away, but the signs will help. Now it’s time to hit the trail! 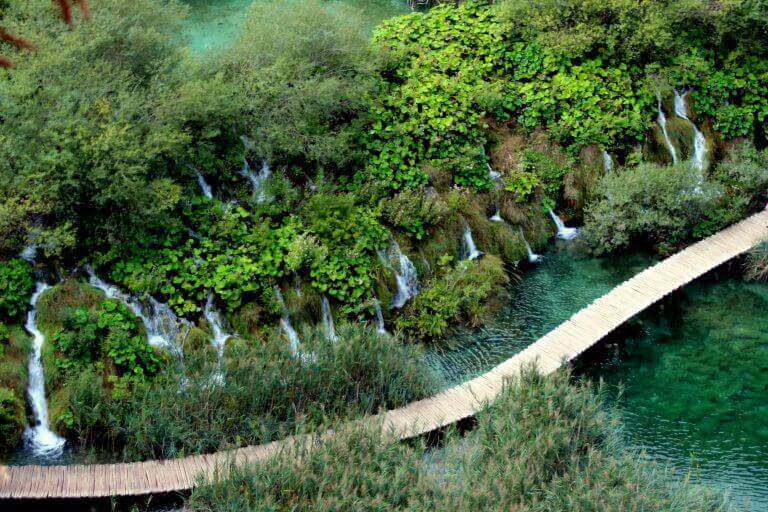 Krka is not a treacherous as Plitvice. So if you have multiple children, it is easier to keep an eye on them with the boardwalks. I still recommend a carrier for younger children. There are many stairs and uneven surfaces, plus the boardwalks aren’t very wide. Our son walked the majority of the trip, we gave him breaks as needed. As you end the walk, you’ll see a swimming zone under the falls. I’d recommend bringing water shoes since you’ll be walking over slippery rocks to reach the deeper water. During our trip, they adviced “no swimming”, but we saw plenty of tourist ignoring the warnings. 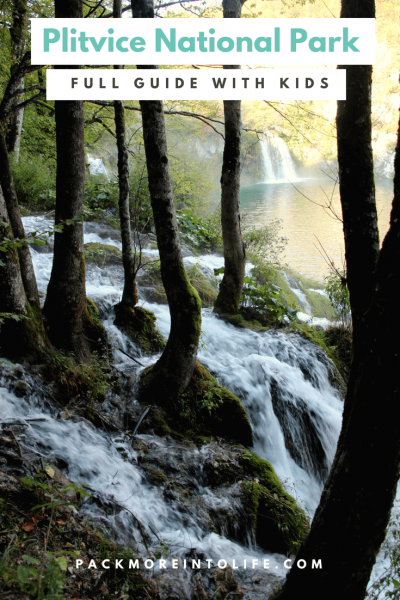 This is the big difference between Plitvice and Krka. 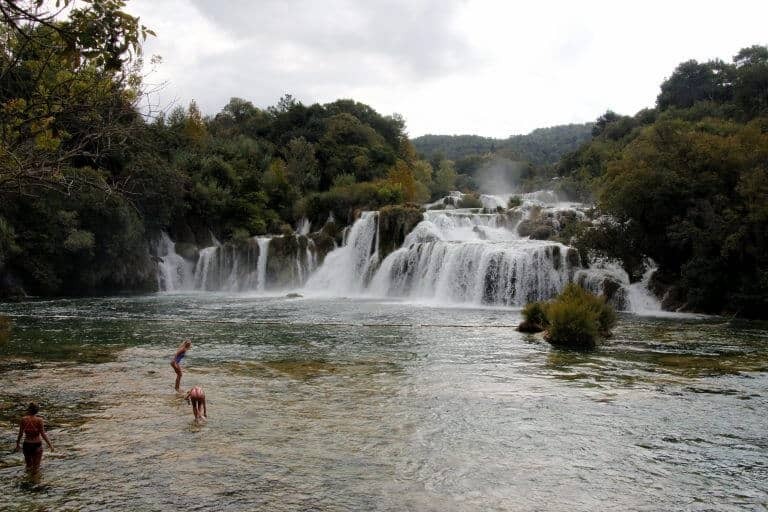 You can swim at Krka! Enjoy your visit to Krka National Park. It is easily accessible from other major cities compared to Plitvice and it gives you a sense of the natural beauty that Croatia offers. 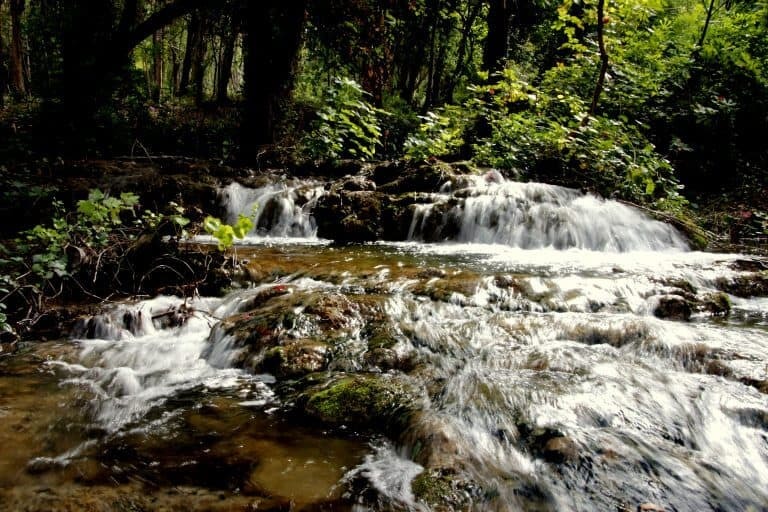 It is also one of Croatia’s UNESCO World Heritage national parks. As much as we enjoyed Krka, it was time to finish our drive North to the Family Hotel Amarin. We arrived in the late afternoon to the hotel, parked our car in the huge parking area and headed into the lobby for check-in. WOW! The lobby is amazing! Check out the huge net play area. It took only seconds before my son took off to explore. 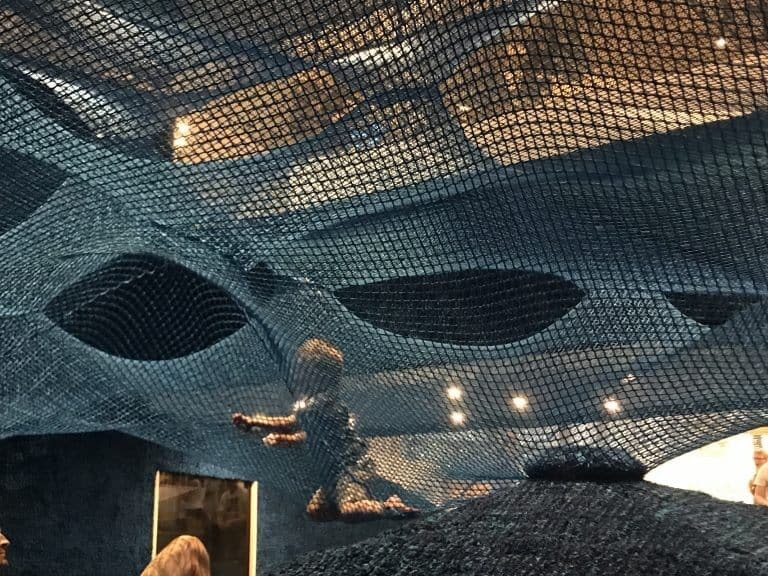 The net area was visited many times during our stay, it was a favorite and I’ve never seen anything quite like it. Three different layers of netting with tunnels and access holes. The carpet underneath was highly padded and so soft. After check-in, we put on our magnetic bracelets to allow access to the hotel amenities and then we went to check out the hotel room. The hotel room was one of the best I’ve seen for families. The pull out beds and sliding wall system was really cool. We ended up moving the table and sliding our son’s bed all the way over to the corner. The pegs on the wall can also be removed and repositioned. I’ll include more photos and details about the room in my detailed blog post about Family Hotel Amarin. The hotel has everything you can think of! Need a kids club for multiple ages including babies? 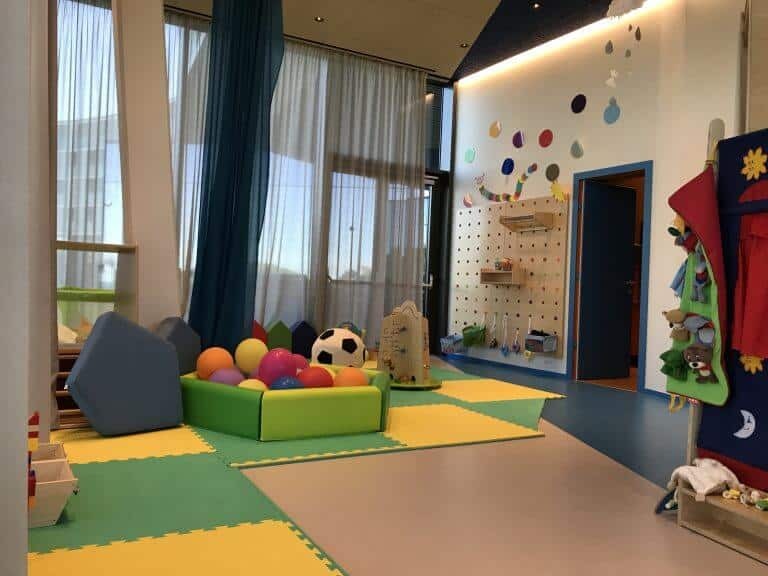 They have four different zones for various ages with lots of staff to interact with the kids. Too cold to play outside? Enjoy the heated indoor pool complete with slides, hot tubs, and water play. Outside adventures? Check out the playgrounds, outdoor pool with slide, beach area, sidewalks with free trike rentals and more. I can attest that sometimes the food suffers at all inclusive hotels. I am here to say that the food at Family Hotel Amarin was amazing. There is a huge array of various international cuisine. For kids, they offer a full baby/toddler food preparation station. 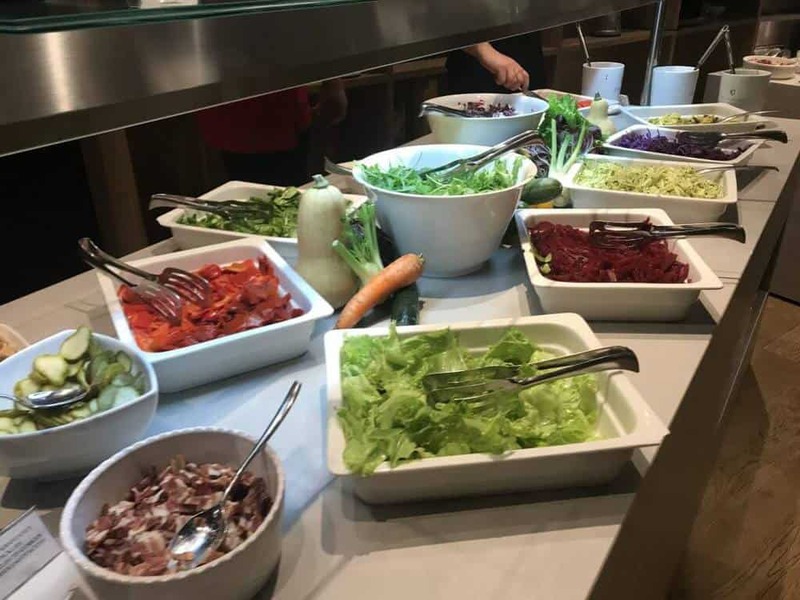 You select the ingredients and the staff will freshly prepare it, just how you request! Need a highchair or a booster seat, they’ve got it. 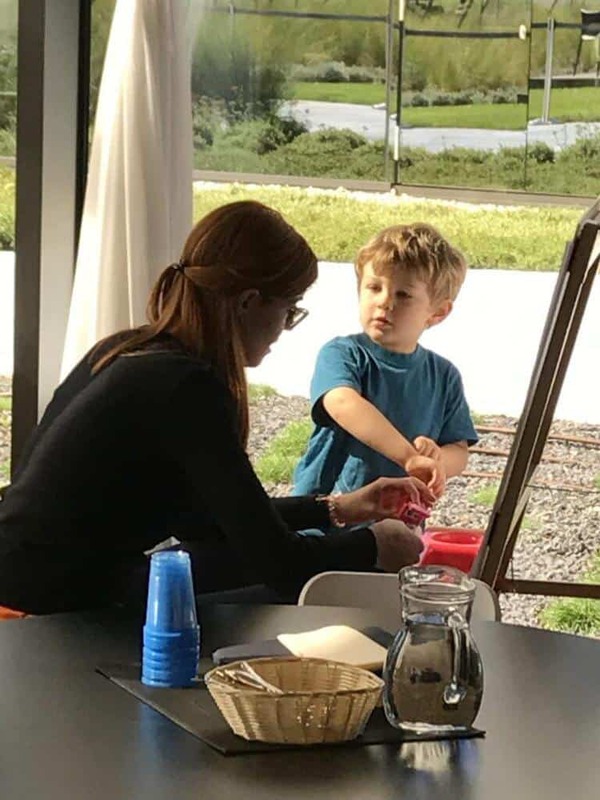 Want to enjoy dinner on your own while your child sits and enjoys their dinner at the kid’s area directly in the dining room? Done. Family Hotel Amarin has thought of everything! We stayed for 3 nights and felt like it was a perfect amount of time to enjoy the resort to its fullest. If you are interested in staying in the hotel and need more details, check out my full review of the hotel by clicking the button bellow or the image. We departed the hotel in the morning just after breakfast, unfortunately, it was time to head home. Our 1/2 way spot was Hohenwerfen Castle, but the weather had other ideas, so we pressed on. Since we were headed back to Stuttgart, Germany, we picked a stopping point for an overnight visit to Salzburg to break the drive up into two days. My husband loves a monk brewery in the town and you can only get their beer directly at the monastery. 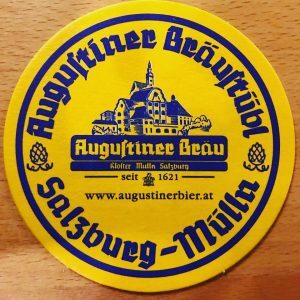 If you are making the trip, here is the brewery: Augustinerbräu – Kloster Mülln. They are open in the late afternoon into the evening and their food is amazing. A great dinner spot. 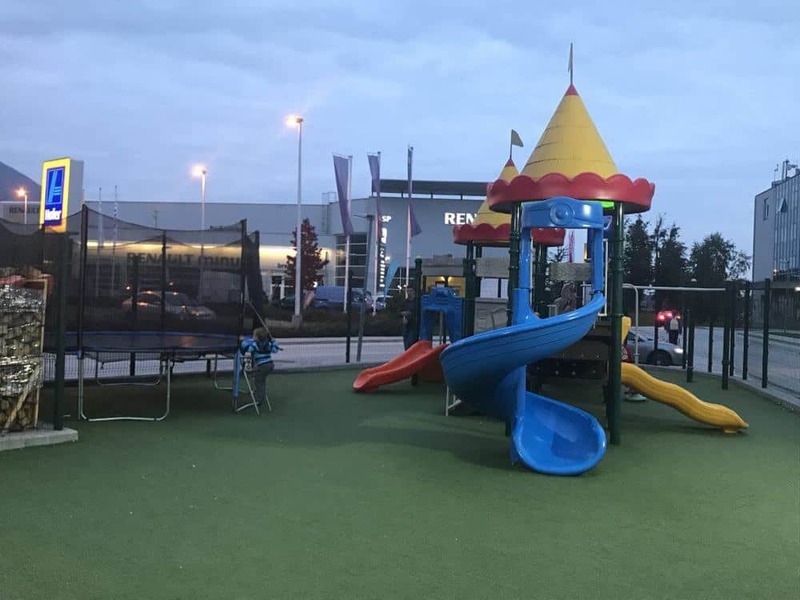 There is also a small play area outside, but the weather was always a bit iffy (we’ve been 3 times). 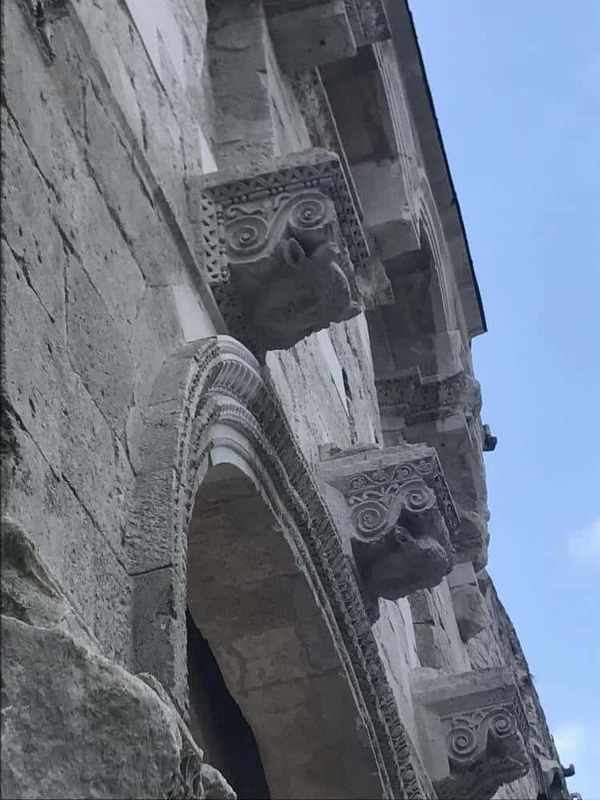 Croatia is a wonderful country to visit. 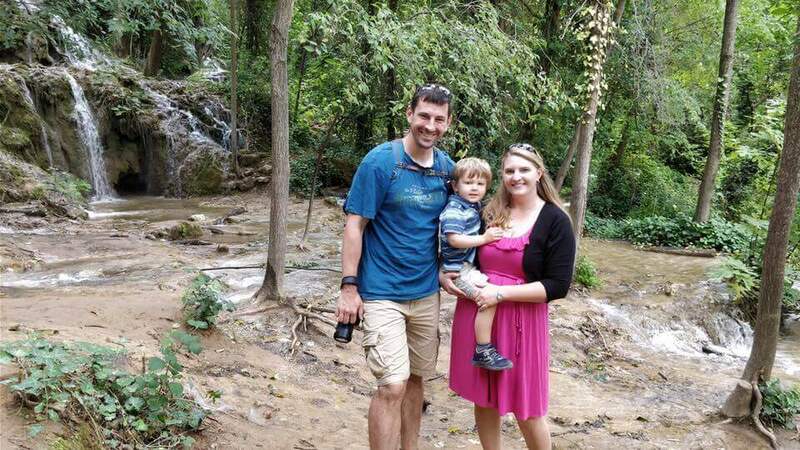 We loved all the nature hikes and beach time with the family. I hope this blog post has inspired you to visit Croatia! If you want to check out more fabulous destinations, head over to our destinations page to check out our interactive map. If you would like to follow along with us day by day you can follow @packmoreintolife on Instagram or on Facebook or sign up for our newsletter! We would love to hear from you!